Being a painting contractor can be hectic. Running your own business often means you wear a lot of hats, developing quotes, doing the work, managing your staff, and keeping up on the books can make for some long days and nights. Relying on manual processes can take away from offering outstanding service to your customers, so allow technology to close the gap. 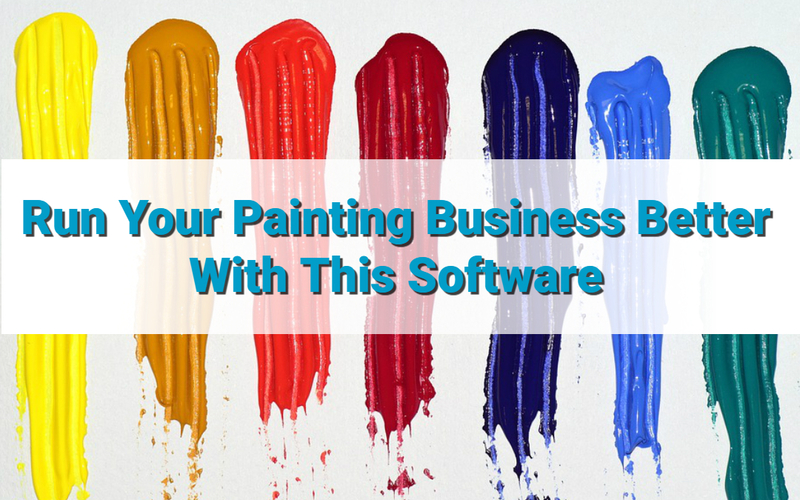 Fortunately, there’s a ton of software for painting contractors available to help you run your business more efficiently and help you maintain your sanity. Here are five apps and painting software that can take your business to the next level in 2018. You probably became a painting contractor because of your skills at painting, not bookkeeping. Fortunately, a tool like JobFLEX, a painting estimate software app, that makes it incredibly easy to assemble and manage your quote and invoices. 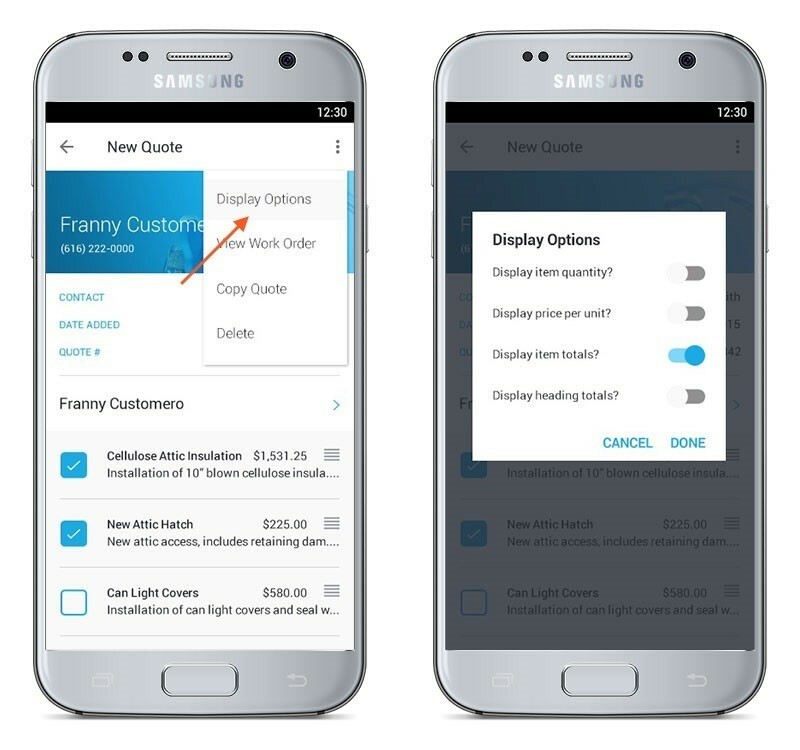 With the JobFLEX app you can create a quote as you walk the job site, adding materials and estimated labor with a few taps on your Android device. You can even download a pre-made price list on their painting invoice app page (click “view sample item price list”). Make any necessary adjustments to your pricing and descriptions in Excel and upload it to JobFLEX and you’ll be able to email professional looking PDFs to your prospective customers before you’re on your way to your next job. It doesn’t get any easier than that! Once you’ve secured the job, JobFLEX also lets you instantly turn those quotes into invoices so you can get paid immediately. Follow the Play store link below to download JobFLEX or take a free trial. Sometimes it’s quite difficult to find the right color for a project and after a while, all of the colors begin looking the same. Rodda Color Visualizer allows you to work off of existing pictures that you have as samples or upload your very own images. This software runs extremely fast and allows you to go through a complete design color analysis for all of your projects. You even have the option to input different types of flooring if necessary to see how that changes the look of a room. This is great online resource for visualizing the end result for your project, and it’s free. Just head on over and give it a try here. 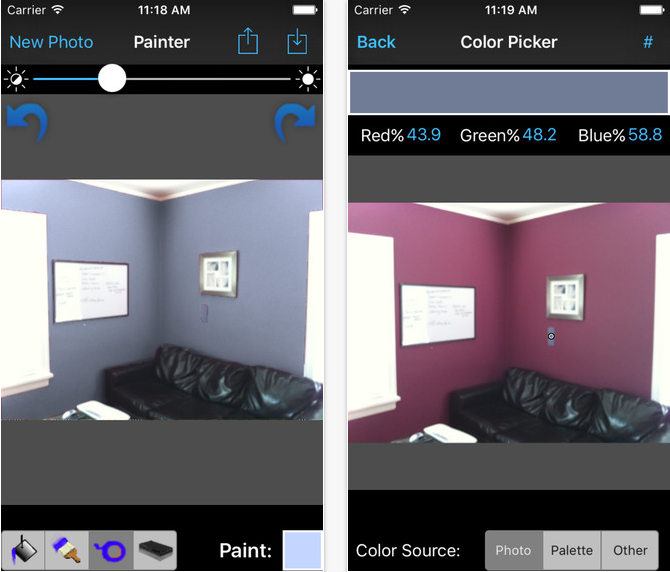 This app has many overlapping features with Rodda’s Color Visualizer, but takes it mobile. The Paint Tester app is available for both Android and iOS. Having an app on your mobile device provides a lot of benefits and makes this tool more valuable when you’re talking to potential customers. 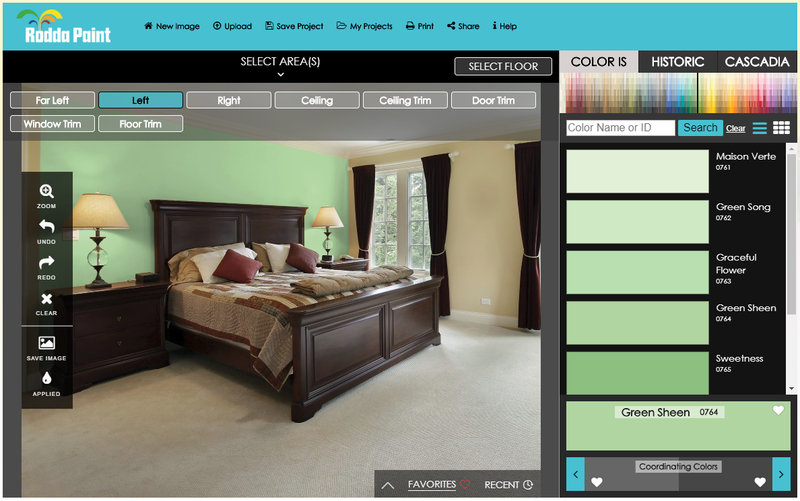 Just snap a photo of the room(s) you’re looking to paint and select the brush or fill tool and you can begin testing different colors to see how they look. When looking for a color you can select from a palette or type in the color number, along with tools to adjust brightness and erase mistakes. Once you complete your painted picture, you can save it for your own records and/or email it to the customer for review. If you want a healthy bottom line, you need to maximize your team’s productivity. Fortunately, there’s an app for that, and it’s called JOBPROGRESS. The mobile app is easy to use and lets your team share information with your customers for transparency across all levels of the job. Manage your own employees and contractors right from your mobile app’s dashboards to keep all of your jobs moving forward. Data is stored in the cloud for easy and secure access, allowing all of your team members to get the info they need when they need it. Learn more about JOBPROGRESS here. Another option for painting contractors in need of some help scheduling is mHelpDesk. If you tend to struggle with keeping your painting business organized from customer appointment times to scheduling, mHelpDesk is the ideal tool to help you stay on top of things, like keeping track of your team. mHelpDesk includes GPS tracking with time stamps to help you know if your team is still at a job site or on the way to the next job. If an emergency pops up, you can quickly find your nearest team member and send them over to tackle the issue. This software also allows you to be informed and connected with customers at all times with personalized, automated text and email reminders. Along with this, you can also capture before and after photos for each customer to place in their file to view at any time. mHelpDesk is a popular choice for contractors who want to up their customer service game. This is available on both iPhone and Android devices along with a Windows platform. Learn more about mHelpDesk here.